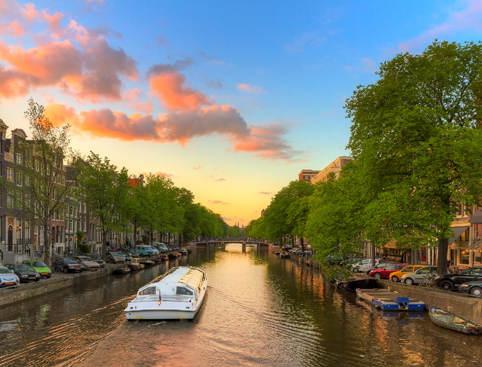 Enjoy a relaxing and romantic evening sailing around Amsterdam on this fabulous wine and cheese cruise! 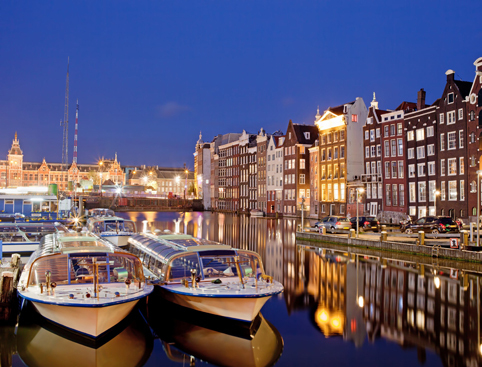 Explore Amsterdam by candlelight as you float down the city’s famous canals on this romantic 2-hour cruise. There are more than 60 miles of canals, some of which are UNESCO World Heritage Sites, that surround and cut through the city. This trip gives you a front-row seat to this endlessly fascinating place. 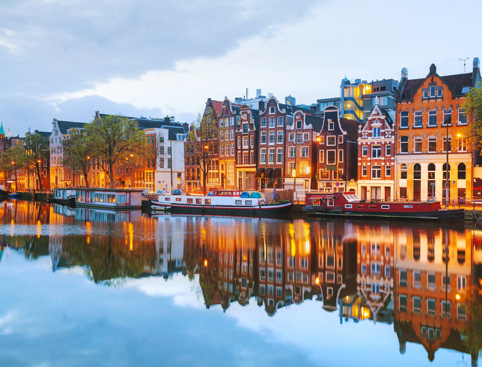 Sip wine and taste some delicious Dutch cheeses on a luxury cheeseboard, as your boat glides through the city; it’s a perfect way to get a real feeling of such a historical place. You’ll see the famous Skinny Bridge, as well as the merchant’s houses, some from as far back as the 1600s, which were been built around the canals. With free WiFi and unlimited beer, wine and soft drinks, this comfortable cruise takes place on a warm glass-enclosed boat so rain or shine you’ll be able to enjoy your journey. This romantic cruise is perfect for you and a loved one; either as a special end to the day, or to set the right mood before the evening begins. From 22nd March 2017 until 28th October 2018 the cruise departs nightly at 9pm. From 29th October 2018 through 17th March 2019 cruises run nightly at 9pm. Please Note: Cruise will not operates from 25th December 2018 until 6th January 2019. Prins Hendrikkade 25, Amsterdam. Please arrive to check in 30 minutes before departure.